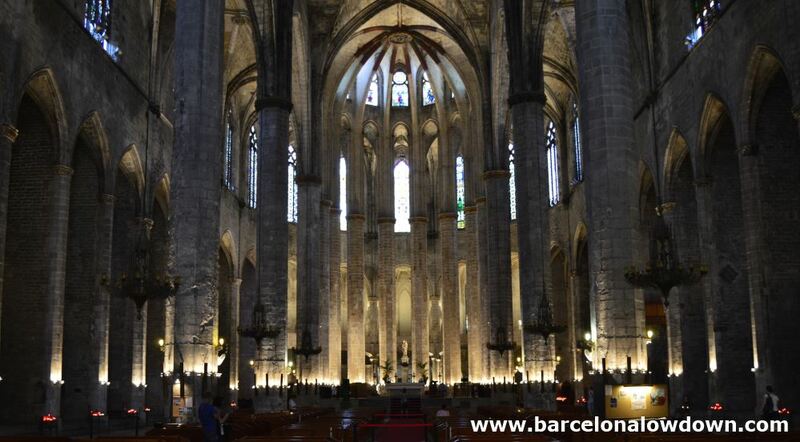 The Basilica de Santa Maria del Mar was built during the 14th century on a site which was once occupied by a Roman Amphitheatre. 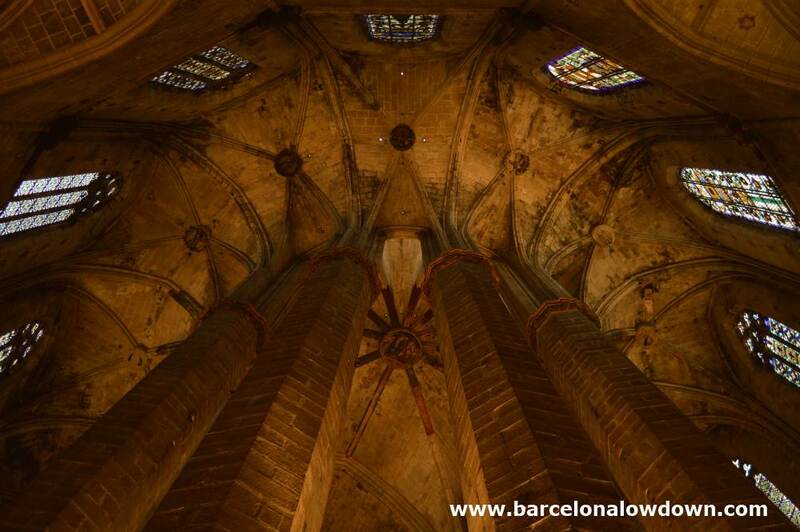 The church took 55 years to build and is a rare example of pure Catalan Gothic architecture (most churches and cathedrals are a combination of styles). The simplicity of design and almost total lack of adornment give the church an atmosphere of unsurpassed serenity. During the 14th century the La Ribera neighbourhood was located by the beach and was home to a mix of sailors, harbour workers, fishermen, craftsmen and merchants. 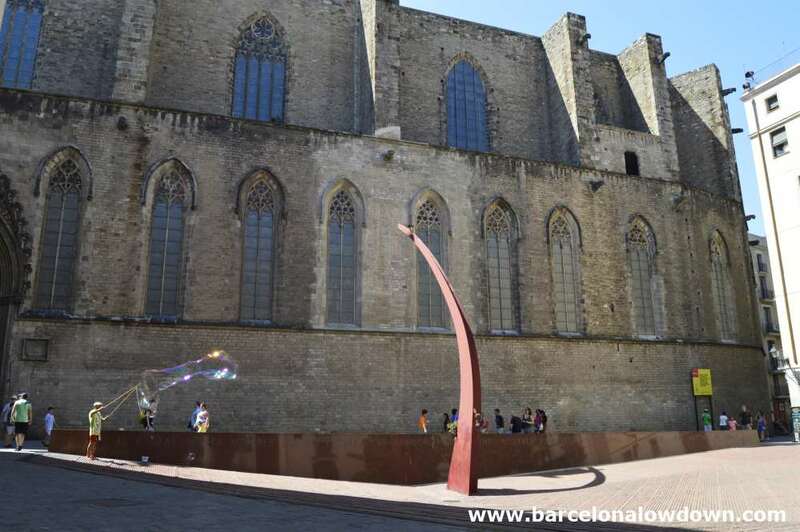 Unlike Barcelona Cathedral, which was being built at the same time and was paid for by the king, the Basilica de Santa Maria del Mar was principally funded by local people. Rich merchants provided the majority of the money whilst sailors and porters (bastaixos) transported tons of stone from the quarries on Montjuïc. 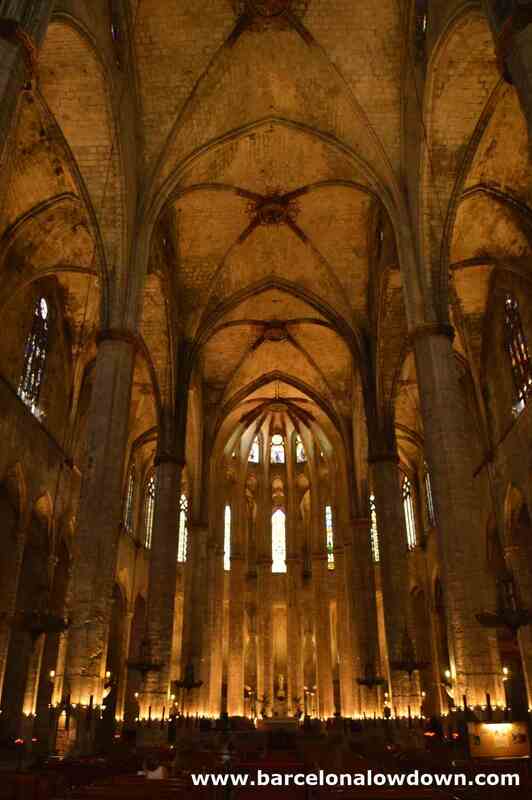 The story of the construction of the Basilica of Santa Maria del Mar is told in the novel The Cathedral of the Sea by Ildefonso Falcones. If you haven’t read the book yet I recommend you try to get hold of a copy because the author really manages to bring the medieval streets of Barcelona to life. In 1428 the church was shaken by a major earthquake that destroyed the large rose window which was replaced in 1459 by the one we can see today. In 1909, during a week which became known as the Tragic Week (setmana tragica), the church was set on fire by anarchists protesting against conscription to fight in the Second Rif War. The fire melted most of the stained glass windows and destroyed the original alter and organ as well as a large quantity of historic documents. 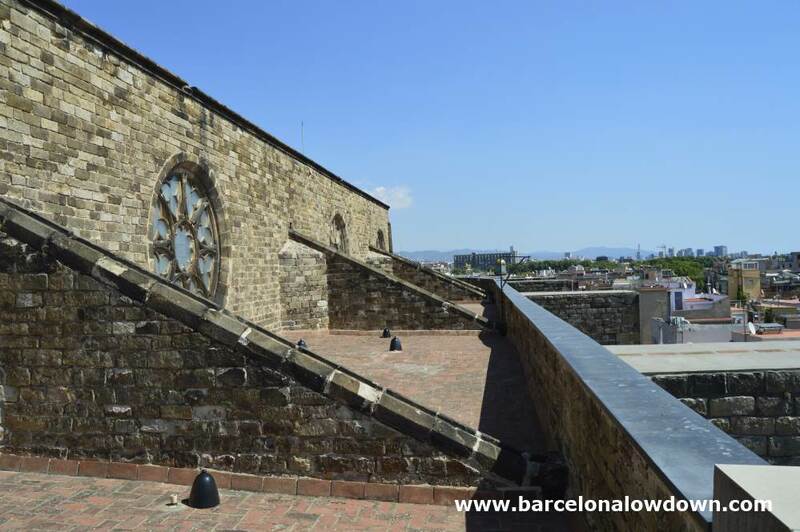 From May to October you can take a guided tour of the church and it’s roof terraces. Although I’m not generally a big fan of tours, I thought that this one was very good value. 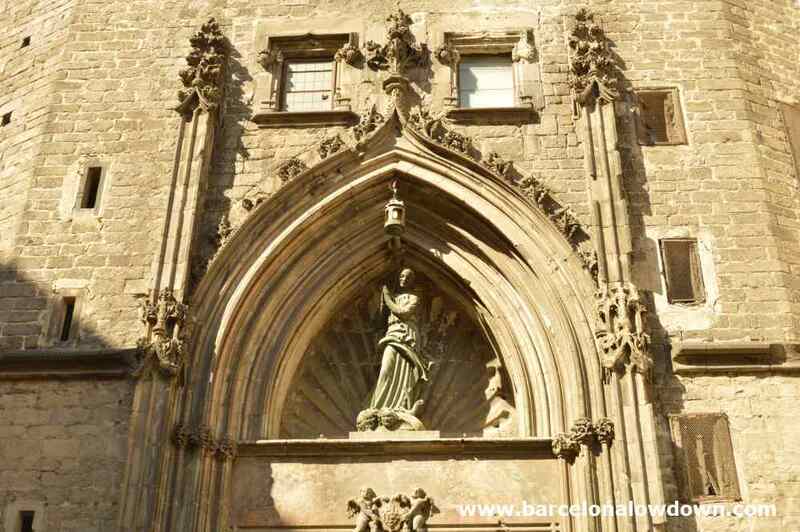 The tour starts from the ticket desk just inside the west entrance from Plaça de Santa Maria and lasts 45 minutes. 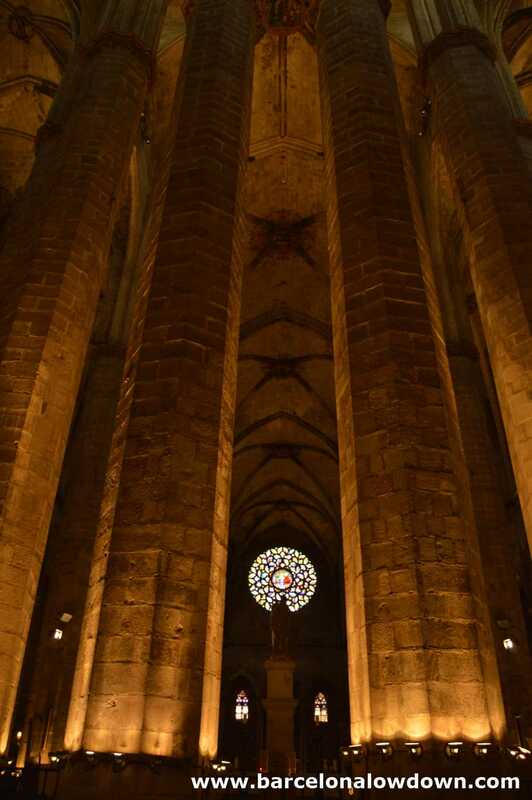 After a short introduction in the nave, most of the tour is spent on the roof where the guide explains how the church was built, the history of Santa Maria del Mar and the surrounding neighbourhood of La Ribera. 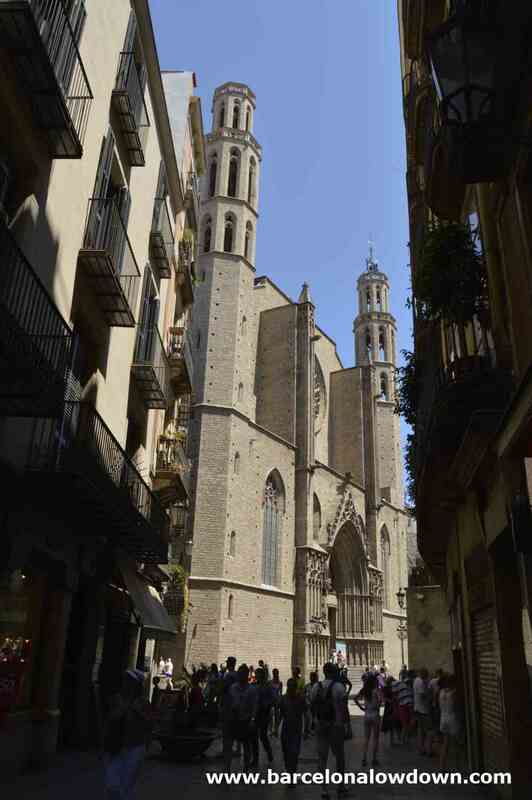 Although the tour concentrates on the church itself, our guide was very knowledgeable and was able to answer more general questions about the history of Barcelona and Catalonia. Please note that the roof is reached by climbing a narrow spiral staircase and there is no lift. I recommend that you take the tour early in the day, before the crowds arrive and before it gets too hot. We visited at 11am and there were only 3 people in our group. The ticket allows you to visit the church again later in the day when the choir is open (from 1pm to 5 pm). If you like taking photos, it’s worth noting that in the afternoon (when you have to pay to enter) the church is less busy and better illuminated. If you take the rooftop tour then I recommend you allow an hour in total. 45 minutes for the tour plus 15 minutes to visit the nave and choir. If you are visiting without the tour then 10 to fifteen minutes should be enough time to visit the nave and take a few photos. Tours are conducted in English, Catalan and Spanish. 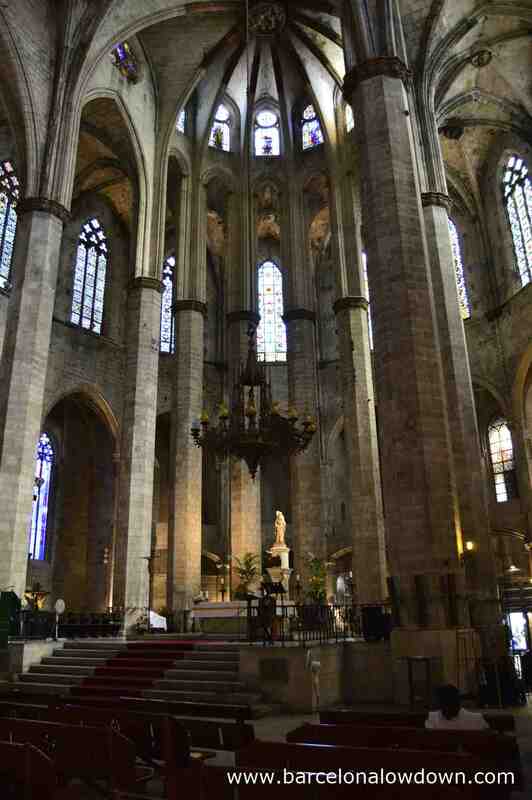 Your article describes the Cathedral and the tours very clearly. I have never been to Barcelona but I can almost picture the beautiful Gothic architecture there from your description. Thanks!